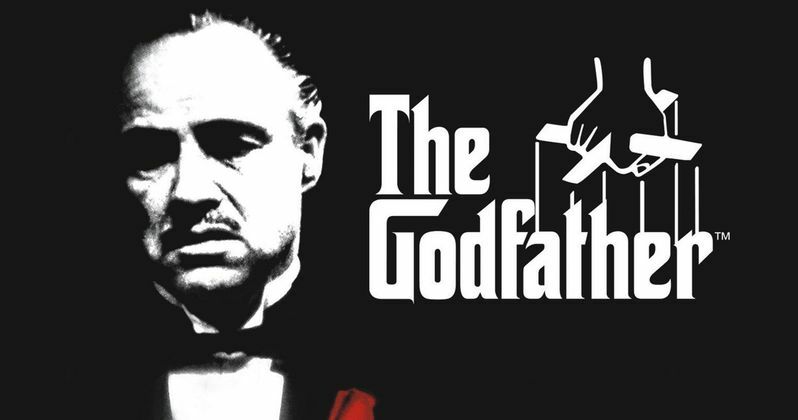 This year we are celebrating the 50th anniversary of the release of the seminal book The Godfather by Mario Puzo. As we all know, the book was made into one of the greatest films of all time by master filmmaker Francis Ford Coppola. Coinciding with the anniversary of the book, the publishers released a 50th anniversary edition with a new introduction by Coppola. In the new introduction the director gives us some insight as to the process of writing the film series with Puzo, as well as events that happened during filming. Francis Ford Coppola was intrigued by the book when he first read it, then he began making copious notes on it when he realized it could become a great film. "What I discovered was that lurking within was a great story almost classical in its nature; that of a king with three sons, each of whom had inherited an aspect of his personality. I thought that if I could just extract that part of the book and make the film about that, then I could work up some enthusiasm for it." The director goes on to point out some differences in his usual way of writing film dialog as opposed to the Mario Puzo take on how to say things. Mario's notes on Coppola's use of dialog directly affected the scriptwriting. "In the scene where Clemenza describes a recipe to Michael, I had written, 'First you brown some sausage, and then you throw in the tomatoes...' Mario scribbled, 'Gangsters don't 'brown,' gangsters 'fry'." Apparently Mario liked to gamble, so Francis Ford Coppola suggested they go to a casino in Reno to plug away at the script. The atmosphere of the casino was perfect for the pair. In the end, all three Godfather scripts were written in casinos. "A casino is the perfect place for writers to collaborate. There are no clocks, so you can order up bacon and eggs (or anything) at any hour. When you reach a snag, you can always go downstairs to play roulette." Coppola loved Mario's direct, terse style of writing. He also admired Mario's ability to keep at the script until it reflected what he wanted it to reflect. We can only guess how this affected FFC's script writing for his later movies. "I learned so much from Mario, perhaps most importantly the need to rewrite and keep rewriting and not be daunted by doing more and more drafts." Mario was not afraid to use real life situations, real people and real quotes in his work. Coppola tells us that some of the most famous lines from The Godfather were actually spoken by Mario's mother. That's right, his sweet, loving Italian mother. "Mario told me that all of the great dialogue, those quotable lines he put into the mouth of Don Corleone, were actually spoken by Mario's mother. Yes, "an offer he can't refuse," "keep your friends close but your enemies closer," "revenge is a dish that tastes best cold," and "a real man takes care of his family." Despite using real people, and real quotes directly from them, Mario never actually knew any real life Mob guys. Mario always told Francis Ford Coppola that he should never let the Mafia think that they knew him. Well, due to the massive popularity of the first film, on the set of The Godfather Part II, John Gotti paid Coppola a visit. We don't know what Mr. Gotti wanted to discuss, but FFC was not about to find out. "During the filming of The Godfather Part II, I was in my mobile office and there was a knock on the one and only door (no escape route!). When my assistant opened it, a growl of a voice said, "Mr. John Gotti is here and would like to make the acquaintance of Mr. Coppola." Remembering Mario's advice, I shook my head '"No." My assistant politely said I was unavailable." Coppola never wanted, or liked the title The Godfather Part III, because he said the film was more a coda, than the third part of a series of films. Francis Ford Coppola always thinks in his mind that the real title of the The Godfather Part III is "The Death of Michael Corleone." Hats off to Mario for writing such a great novel, and of course Francis Ford Coppola for making the book into some of the greatest film works of all time. This comes from Entertainment Weekly.